English trailer and opening cinematic ahoy! Hard to believe it, but we're almost to the middle of March. That means that Monster Hunter 3 Ultimate is fast approaching - it launches in a week! Are you all set to gather your friends and hunt monsters for glory and loot? If not, Capcom has you covered with not one, but two videos to get you pumped up. I don't know about you guys, but I'm pretty excited for this one! Monster Hunter 3 Ultimate launches in North America on March 19th for the WiiU and 3DS. The WiiU version of Monster Hunter 3 Ultimate will support 4-player online co-op, or 4-player local co-op with one player on the WiiU and 3 players on the 3DS. 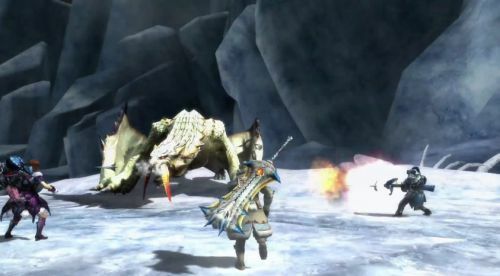 The 3DS version of MH3U will support 4-player local co-op via ad-hoc.